This post will talk about the progress of GloveStix in general based off any information that I can find on it. Then we will be talking about the Cut Buddy Hair Cutting Template. GloveStix is very highly rates on Amazon. It received 89 total reviews on Amazon and out of all of those, there has been less than ten rated less than 5 stars. It has a 4.4 out of 5 stars after the calculation is done and that is remarkable when you think about it. Having an almost perfect review rating is very difficult to achieve. There will be more reviews as the product continues to sell, as it has been a hot commodity for many athletes. As sales increase, so will reviews and then a true rating can be determined. I am an athlete and have always been looking for a way to clean and fix up my gear to make it smell nice. My parents always complained about the smell of my equipment. They told me I would have to figure out a way to get rid of the smell because they could not handle it in the car when driving home. I was never able to find a way. It is funny that now that I no longer need to find a product to control the smell, I now found one that would work. This product would have been great to have and my parents would have been very appreciative too. Another aspect of mine that my parents are not very fond of is beards and long hair. There is a new solution to this problem. The Cut Buddy Hair Cutting Template is a way to cut your hair at the proper angles and also groom your beard to make it look professional. The template was popular back in February selling about 55,000 units from its launch date which was January 2016. The creator, Joshua Esnard, has plans for the future with his #1 best-selling product on Amazon. The future for the product is to create a 2.0 that will be put into retail stores, like CVS and Walgreens, while also finding a celebrity to be the “face” of the product. Joshua Esnard recently took this product onto Shark Tank and was able to get a deal with Daymond John. The Cut Buddy has already seen big spikes in purchases and is ready to take on the next huge spike which should happen after being on Shark Tank. This template could be as common as the comb in the near future due to the amount of people in the world who are focusing on their beards and how they look. My own brother would be willing to spend an ample amount of money on his beard because it has to look good every day. Before the template really took off, he had to go to PulseRay, Inc., to get help with creating the design of his product. The sources that I visited did not discuss the royalty made for the deal. PulseRay Inc. must have gotten something out of the deal for making the design, but it does not seem like they did. There was no mention of them continuing with the company or becoming a partner. It is possible that the company may own a have a small equity stake in the company, but I do not know for sure. In order to secure his idea, he hired a patent attorney in order to patent his design because copying his product could be very easy due to the make of it. Nothing has been said as to the status of the patent, whether it exists or not, but duplicates are being made in China now which will potentially take away business from the Cut Buddy. I was trying to find how Joshua Esnard funded his product, but there is little to no information on the funds. I could not find whether or not he had angel investors, got a loan, or anything of that nature. The only investor that I can find is Daymond John who now has 20% of the company and that 20% was worth $300,000. That puts the company at a 1.5-million-dollar valuation. I do not believe that I will be purchasing this item due to the fact that I am currently losing my hair at a young age. Going along with this, my mom does not allow beards to the point where I would need assistance in trimming. I do not need my angles perfect when fixing up my facial hair or my lack of hair. In this blog post, I will be addressing any new information that is available about the WYP Aviation Wingboard from the last blog post. After talking about the WYP Aviation Wingboard, we will be addressing a new product called the GloveStix. The WYP Aviation Wingboard which was talked about in my last blog has not had any more information posted on it or anything of that nature. I cannot add any new information due to the lack of information provided on the internet. Based off the twitter, the company has been able to give many demos for the virtual reality air race to show off their product. There have been verified twitter accounts that have been tweeting about the WYP Aviation Wingboard and are getting a lot of views all over the world with their promo video. The company is reaching out to pitch at various places, one being the 3686 Conference for entrepreneurs. Also, WYP’s Kickstarter campaign has been making progress, and they hope to reach their final goal as soon as they can. Their final goal is not listed online. Another product to be talked about is the GloveStix product. 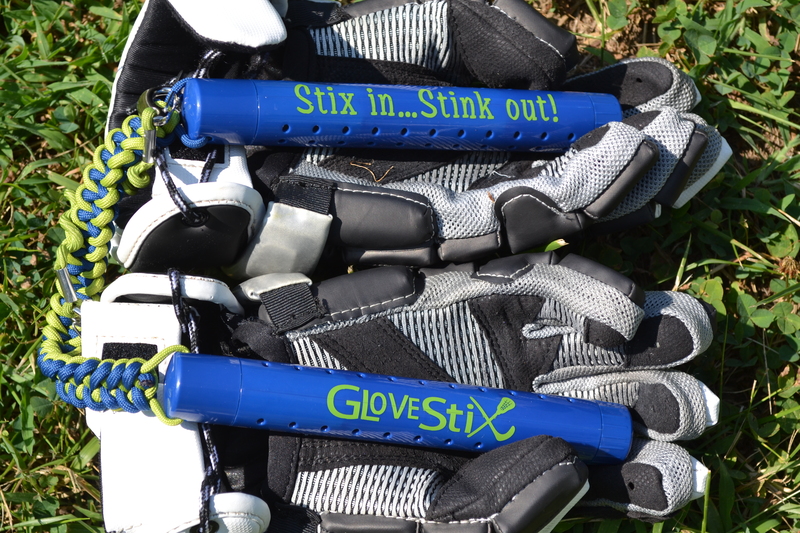 GloveStix is a product that is going to help all athletes with their stinky pads, especially their gloves and their shoes. As an athlete myself, this is a huge problem more so with my parents who yell at me to get rid of the smell. I am not able to get rid of the smell no matter what I do. I have always been looking for a product that will help this epidemic, but have never been able to figure it out. There are ways to market the product like through Facebook and Instagram while also going to sporting events and selling the GloveStix themselves. Besides this, she won a “Today Show” competition and getting time on QVC made her feel confident before going on SharkTank. She was able to land a deal with Alex Rodriguez and Lori Greiner who bought 17.5% of the company for $150,000. An episode of SharkTank could be considered a form of equity crowdfunding. This means that the product is looking for funding from a crowd offering the ability for them to purchase equity with the money. How much money paid is dependent on the variation put on the product by the person who owns the product. In this case, Krista Woods set the GloveStix at a valuation of $1.5 million dollars. Krista Woods went onto SharkTank looking for an investor that would pay for equity. She was using the investor model, which is when equity is given for funding. This product/company has already been past the startup phase since it has already had sales up to $500,000 before even going on SharkTank. She knew that going on the show would create a lot of buzz anticipating a lot of sales, so Krista Woods ordered $80,000 worth of inventory. I do really think this item is going to work for those young players that need a way to get rid of the smell. I was able to actually talk to the lady that runs the entire business on Facebook. She said “Hi Michael! Thanks for the blog post but tbh I am overwhelmed by all the awesome Shark Tank business I already have so I haven’t even had a second to think about what’s new! I just aired a few weeks ago, i only had 6 days notice of my air date, then into Black Friday and holiday sales and I’m already sold out of some products! Thankfully I get more next week to last me through the Holidays “. This was very cool talking to her about all this and was very happy to have her answer my Facebook message. We are going to discuss any new information that has been put out about the Ice Shaker that was talked about last week. Then we are going to talk about a WYP Aviation Wingboard which was recently on Shark Tank. The Ice Shaker bottle was very successful on Shark Tank, as it got offers from every single shark, which does not happen very often. Going along with this, were the sharks buying a partnership with the product or only with the people making and selling the product? There was speculation after the episode aired as to why there was so much excitement for the product. Was it because of the Gronkowski name or the bottle’s effectiveness? I believe that the bottle was so highly liked by the sharks because of the famous name behind the bottle. Of course, they also liked the product, but the main reason this bottle will sell is because of the person who created it. Chris Gronkowski is trying to stay away from using his name as a selling tool, but it wouldn’t be a bad marketing tool to utilize in the future. The bottle has been reviewed by many people on YouTube and online in general, and the consensus is that the bottle does everything that it promises to do. The bottle can be used for everyday use as a water bottle, a protein shaker, or anything that you can think of. There has been little light shed on the bottle in the marketing scene, but the fact that it was on the show alone will get the name out there into the public’s view. Also having 5 sharks interested in partnering with your product and negotiating quite aggressively gets the product name out there, especially with the sharks that ended up winning the “shark fight” as they would call it. Alex Rodriquez and Mark Cuban have a very big following in the world of business and will help the product sell without much purchased marketing. Along with the little amount of light shed, there was not much about the way they will be making money. In other words, their revenue model, which is their way of getting revenue. They are going to be using the Unit Sales model by my speculation. That is the best way that they will make money because they will be selling a product and making money as each is sold. Chris Gronkowski has been on some videos on YouTube reviewing his product and comparing the Ice Shaker bottle to the blender bottle and other stainless steel bottles. That is really all the information available about the Ice Shaker bottle as of right now. I believe that this bottle will skyrocket due to the new increasing levels of health. Most people are very conscious of their health overall and are going to the gym more often. This bottle provides all the essentials needed for gym goers. I will look to buy this bottle soon so that I will have the top bottle on the market. The WYP Aviation Wingboard was on Shark Tank recently and was looking for a partnership at a price of $500,000 and a stake of 20%. Just like every sales pitch that goes on this show, the pitch described the business model of the company/product. One of the biggest items of the business model that the salesperson has to portray to the sharks is the financial viability of the company/product. The person giving the pitch was Aaron Wypyszynski. He was trying to take the thrill that everyone gets from adventure sports and raise that to a whole new level. He wants to make a product that can be flown in the air for a long time while being in full control while flying through the sky. The WYP Aviation Wingboard is the equivalent of wakeboarding, just instead of in the ocean it is in the sky. The website has a video that shows every part of the AEIOU procedure. The video is very important to see if you are interested in the entire building of the product. The Wingboard carries you safely while you are able to do a lot of different things to have fun while also riding through the sky and through the clouds. (The website is accessible here). If one is a fan of wakeboarding then this is for you. Me, personally, would never do this just because I am not an adventurous person. I like to know how safe I am going to be and know that I am in control of everything. On this Wingboard, I am not in control of the plane which would scare me. I did not get a chance to see the episode, but from what I have read it does not look like any of the sharks were going to even try and partner with this product. There was a guest judge there Richard Branson, who founded the Virgin Group that operates over 400 companies. Richard said that the Wingboard is a “real thrill” but was not willing to invest in this product. Robert Herjavec went out for the same reasons as Richard Branson. Every other shark went out for different reasons. Lori Greiner opted out because of the risks of the new sport and how extreme it is. Mark Cuban is afraid of heights so that is a big reason why he declined, but also because of how expensive the product is. Daymond John was interested in the Wingboard but was not ready to invest because of how long it would take to get a return on his investment. I personally would never try this because I am not a fan of being high off the ground. I am not afraid, but I just do not like those high elevations. This also puts my life in someone else’s hands. I am more accepting to this with cars, but with planes I am not too happy about that. This blog post will talk about the results of TanglePets on Shark Tank and also a newer company that has recently been on Shark Tank, the Ice Shaker bottle. 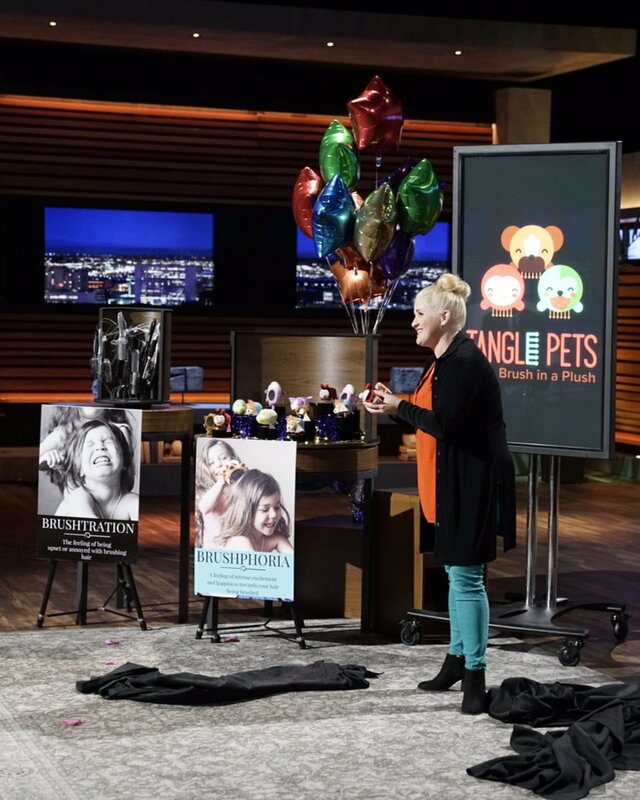 TanglePets was recently on Shark Tank, the television show, and I honestly thought that Lizzy Martin was going to walk away empty handed. After the sharks reacted to the product, a business venture looked grim, but then the last shark said how she felt. Lori Greiner was the last shark that was able to help out with Lizzy Martin’s dream of taking her product to the next level to become a big success. Lori addressed how great the brush was and praised the quality of the brush/toy. Lori offered $75,000 for 50% of the company because of the amount of work that Lori saw herself doing in the long run. Lizzy Martin tried to counter but ended up taking the original offer. I believe that this company needed a partner who could show her what is needed to become one of the biggest brush companies on the market. Lori will need to invest a significant amount of time and work due to the fact that the product is still in the startup phase. Lizzy Martin’s strategies will now be different that she has a 50/50 split on the ownership of the business. Even though she now has a partner, she will still need to secure a big partner who will also be a buyer. Any big partner/buyer like Walmart, Target, Bed Bath & Beyond and Toys “R” Us would be a significant gain for her and her new partner. There has not been much information shed on what they will start with right away. If you remember from my last post, I made a claim that Lizzy Martin was going to use Shark Tank as a form of marketing. This strategy worked for her because her website is sold out. You cannot order anything from this site. The only offer available on the site is a discount on your next purchase if you supply your email. The next up and coming product that will hit it big soon is the Ice Shaker. The Ice Shaker bottle recently aired on Shark Tank and was very successful. I like to think that the reason they are successful is because of the people who are running the company. The people that gave the pitch for the bottle were the five Gronkowski brothers. They all played a form of professional sports. The most famous is most likely Rob Gronkowski, “Gronk”, who is the well-known tight end for the New England Patriots. Anyone who has been a fan of football has heard this name. He is the most exciting tight end in football. The main person was not Rob “Gronk” Gronkowski though, the main guy was his brother Chris Gronkowski. Every “shark” wanted a piece of this bottle, but only two ended up winning the final deal. Chris Gronkowski came in looking for a $100,000 for 10%. Chris was not in it for the money, he was in it for the partner expertise. He could get pretty much any amount of money from his multimillionaire brother tight end. After all of the negotiations and the sharks going back and forth, the Gronkowski’s were able to secure a deal with two very big sharks. Mark Cuban and also guest shark Alex Rodriguez were the two who won the negotiations for $100,000 for 15%. “We just locked up the trifecta, the NFL, NBA and MLB, that is absolutely huge, and I am so pumped right now” Gronkowski said after getting a deal with Mark Cuban, the owner of the Dallas Mavericks, and Alex Rodriguez, former MLB all-star from the New York Yankees. I believe that this was a match made in heaven for the Gronkowski men. They do not necessarily need the money because they have been very successful in their respected places of work in the professional leagues. I also watched the episode and a lot of information came from that too. The focus of this blog has been altered a little bit. Instead of focusing on marketing strategies and also the growing lacrosse market, the focus will now be on marketing strategies in start up companies only. The information about the growing market in lacrosse was difficult to find sources for and to talk extensively about. I hope that everyone has a great day and enjoys the next post coming soon. Posted on October 18, 2017 December 4, 2017 Categories UncategorizedLeave a comment on Blog Change!!! Welcome back to my blog. I hope you enjoy this new post. This post is going to focus on one main thing. A product called TanglePets. TanglePets is a brush in a plush. After I was able to have a lengthy conversation with the creator of this new product as a whole, I decided not to talk about lacrosse this week. The conversation I had was so rich and insightful that TanglePets is deserving of a whole blog post. 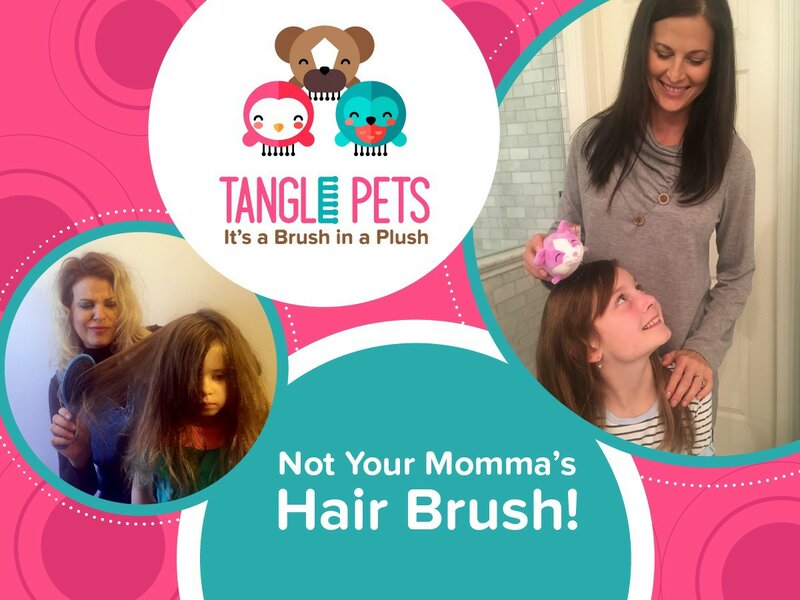 Lizzy Martin, creator of the TanglePet, is a mother of three daughters and was struggling making brushing their hair an enjoyable time for her daughters. She decided one day to glue her daughters’ favorite animals onto the brush, and they started to love it. She saw she was having trouble making brushing their hair a fun time, so she came up with a solution. Her main problem was that she did not have any money to do anything. At that time, she was used whatever money she had to go to events where she could set up a booth to display her product. She did not have the funds to advertise on social media outlets. Her main plan was to grow her business in the place she is from which is Gilbert, Arizona. She wanted to build momentum in Gilbert so she targeted mom bloggers. She wanted other moms, like herself, to suggest the product and say how good it was on the blog. She thought this was her biggest market, but she decided to go a different route. Lizzy Martin figured out that this was not going to work due to how many suggestions the moms posted. The best route to go was to go into Facebook groups to talk to as many moms she could in order to get the product in as many moms’ hands as possible. She then realized that she was going to need money and decided to go on “The 100,000 Pyramid” game show and won around $50,000. This provided her with the enough money to make a market-ready product. While in the production phase of the product, she was able to win this because she was able to develop prototypes to make it better and better each time. She used her prototypes on her daughters to fix the problems that they were not fond of. She created a website so people could buy the product online once it launched. Her friend, a well experienced employee at a marketing firm, offered to redo her website for free because it was not a professional looking website. Lizzy Martin planned on spending $30,000 on the product to make it better and to upgrade everything with the product. Due to circumstances, she cut down her spending to only $11,000. She wanted to get a patent on her product so that no one else could steal her idea and her amazing product. The product, TanglePets, is currently patent pending. She also wanted to worry about inventory for her product. She mainly cut down her idea of getting a marketing team to help her market the product. She decided instead to seek out Shark Tank, the Television show. With her money, she managed to add to her products to have multiple animals for her brushes like, Tangle Kitty, Tangle Ladybug, Tangle Lion, Tangle Puppy, and Tangle Turtle. After doing all of her research and getting through the first round of pitches, she felt very confident on her chances to get on the show. I got a chance to talk to her about the product, and I can feel her passion for her product. It is very important to have this type of passion and energy toward your product. Lizzy Martin is scheduled to go on Shark Tank (her episode will air on Sunday October 9, 2017), the reality TV show that has brought back entrepreneurship. Going on Shark Tank will be a fantastic way to get her name and product out into the public whether Lizzy Martin gets an offer or not. The product was launched a year ago this month. Lizzy Martin is going to use Shark Tank mainly for exposure if nothing else. After she finds out whether she gets a deal or not, she will have to decide her next course of action. After talking about this product and how she started her whole business was very cool mainly because I was able to talk to her. I was able to call her phone and have a conversation about her entire start-up phase. I would buy this product for my kids when I have them and would hope that all others will buy the product. It will be next kids brush that almost every single kid will be using. All info came from a phone interview with Lizzy Martin, creator of TanglePets. Also from https://tanglepets.com/ (the website to buy the product or to contact her) and https://allsharktankproducts.com/shark-tank-products-kids/tanglepets-kids-hair-brush/ (website where Shark Tank shows all past and future products on the show). Thank you for clicking on my blog. I’m going to start with a brief history of myself so that you know a little bit about my background and why you should read this blog. I am currently a sophomore at Muhlenberg College and a business administration major. I have always been interested in the art of marketing and how companies decide what they will do and how they plan on getting their product in the hands of the public. I am more interested in newer companies’ strategies mainly because the entrepreneurs have to decide whether they are going after social media outlets, television, ads, etc. As we go throughout the year with this blog, we will also be talking about a sport that is growing every day. The reason this is part of the blog is because I play lacrosse at Muhlenberg, and this is a very big passion for me. The market is open for new ideas and is growing to the entire world rather than just one country. This sport is going to take off and be an extremely popular sport, even more so than it already is. If you do not already know, this blog will be talking about marketing ads and new companies and entrepreneurs’ strategies with ads. Ads are important for companies because it is how entrepreneurs get their brand name out there so that potential buyers will fall in love with their product(s). There are new platforms to advertise nowadays rather than in the past. When deciding this, there are a lot of factors to consider before choosing what strategies will be targeted and how to execute the plan of action. I will talk about why companies picked the ideas and strategies they did, and how they have implemented them. Due to the increase in people joining the sport of lacrosse, the market for lacrosse will be always steadily increasing. Lacrosse may not become as big as maybe American National Football, but it should be able to get across the entire country serving as a niche sport, as Kevin Craft says in an article he wrote. This article talked about how it is possible for lacrosse to really breakthrough as a top national sport that will be watched all across the world. Lacrosse is considered a niche sport because currently it is serving a purpose to only a select group of people. Kevin Craft says in the article, “While it still exists on the fringe—popular in certain areas of the country and somewhat unfamiliar in others—it is growing.” This just reiterates what I said above about the growing lacrosse market in the world. I hope that you find this blog to be correct in what it says, but also, it is professional in the writing and the manner that it is written. I am open to any new ideas and/or arguments that you may have, so if you need to reach me, refer to the contact information page. I will try to respond to emails from the blog within a day or two. This is also the best way to reach me should you have any questions or if there are any problems. Feel free to contact me with any issues or controversies that one would like to discuss and/or clarify. The best way to reach me is by e-mail.